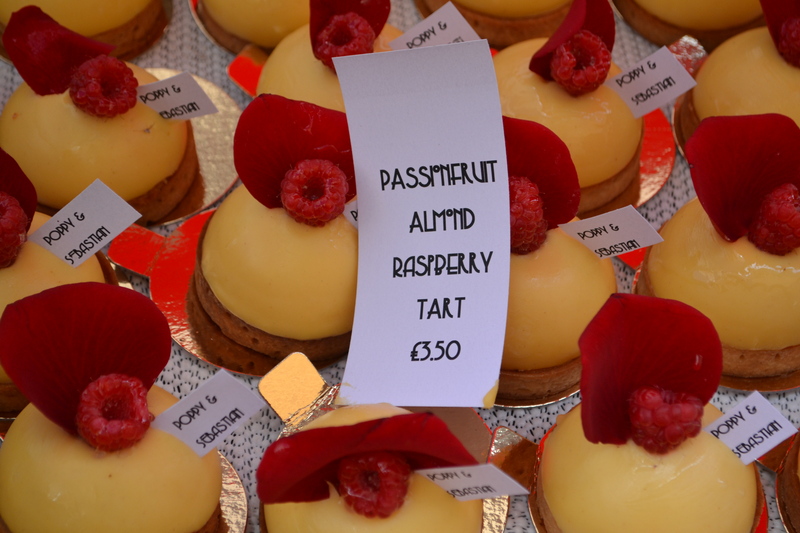 Forget the Borough Market, Maltby Street Market is the new hot thing for foodies in London. 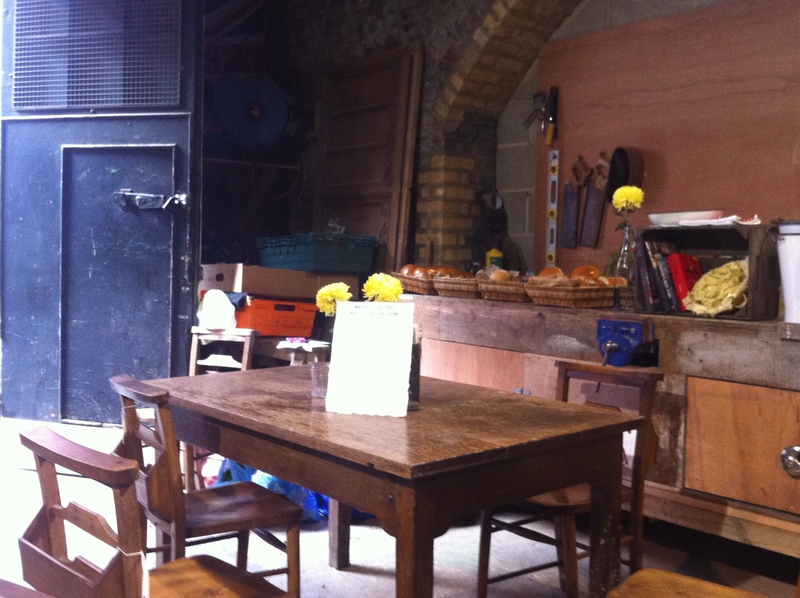 Slightly off the typical tourist track, it is tucked away under the gritty railway arches in Bermondsey about a 15 minute walk from London Bridge. 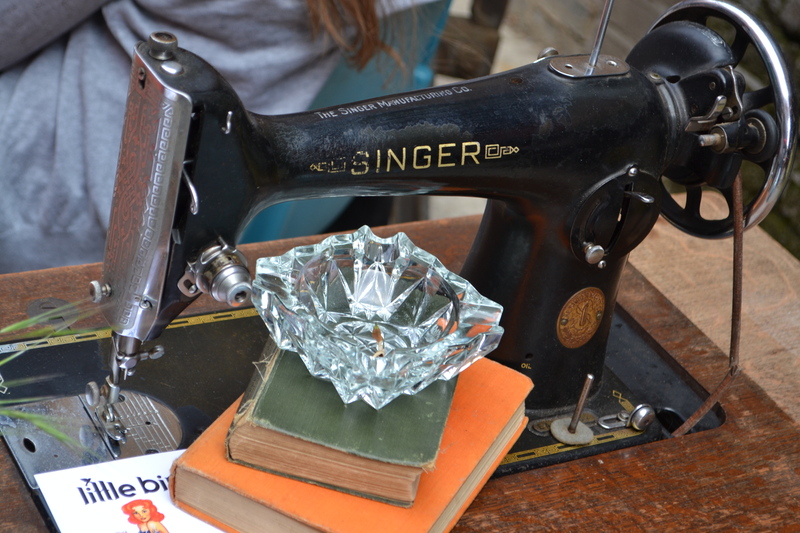 There’s something special about this market – it has a slightly quirky, secret feel about it, like you have stumbled down a rabbit hole and found a hidden treasure. Unfortunately it seems like the masses have caught on, as this market has progressively become busier and busier. 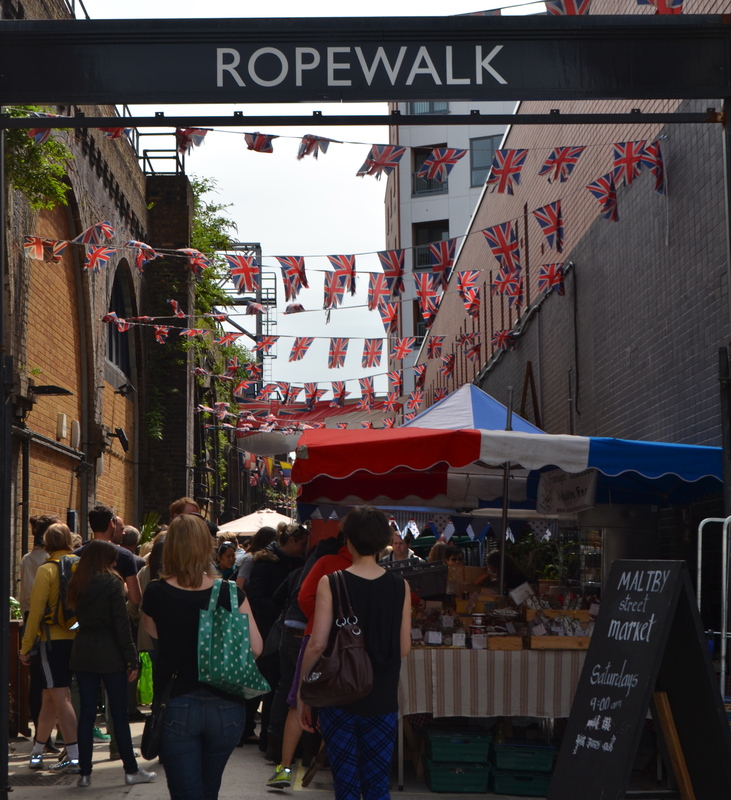 Walk under the ‘Ropewalk’ sign and the british flag bunting and you are in for a treat. 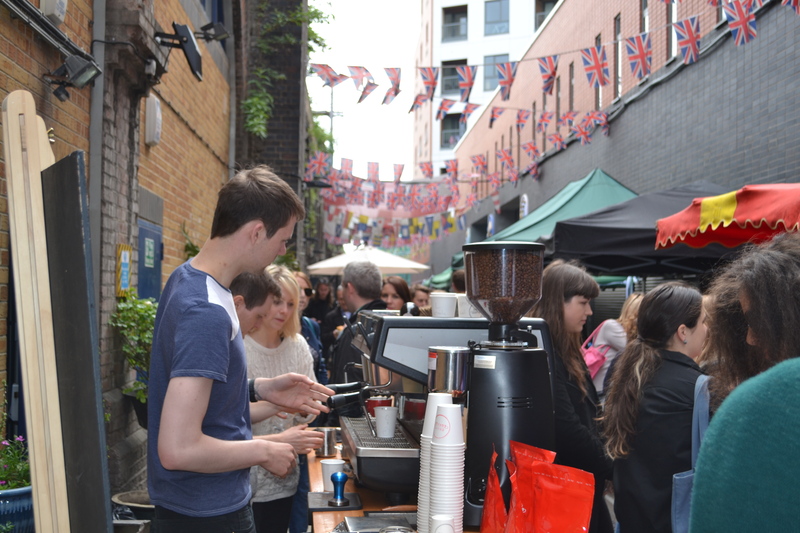 You are lured in by the sweet aromas of freshly brewed Craft Coffee and barbequed pulled pork. 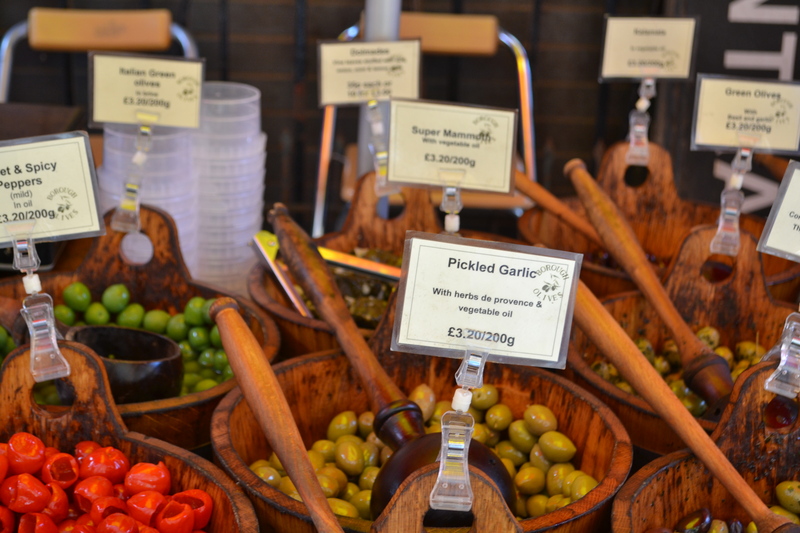 I love the authenticity and honesty of these markets.The traders are definitely in it for the right reasons and are eager to talk to you about their produce. 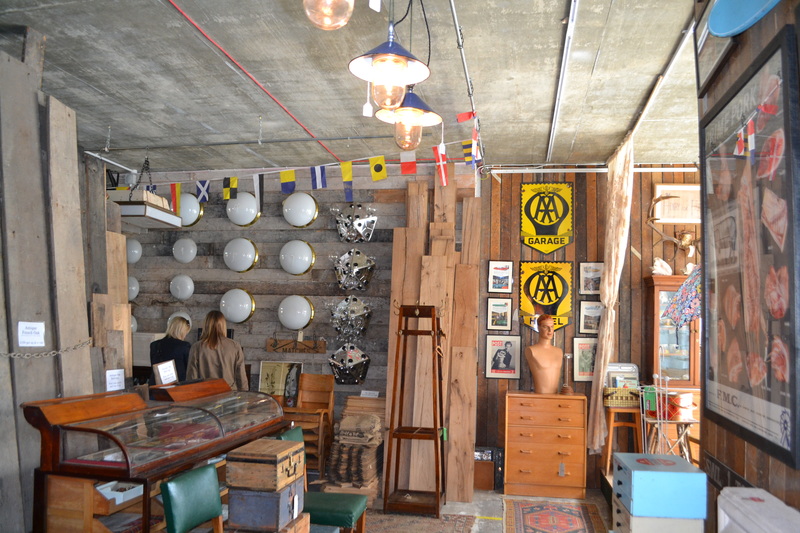 There’s no pretension here, so grab some food and a seat at the antique markets and soak up the atmosphere. 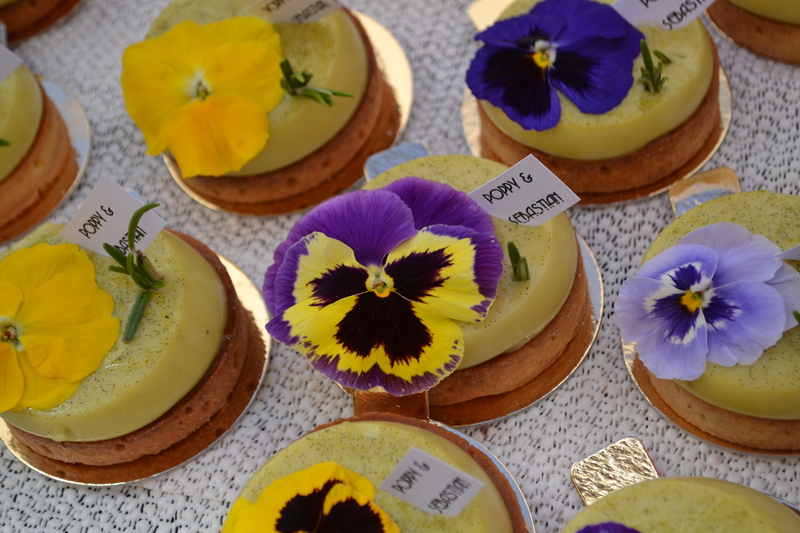 For the sweet tooth, you may want to try one of the little goodies at A Little French Tart. 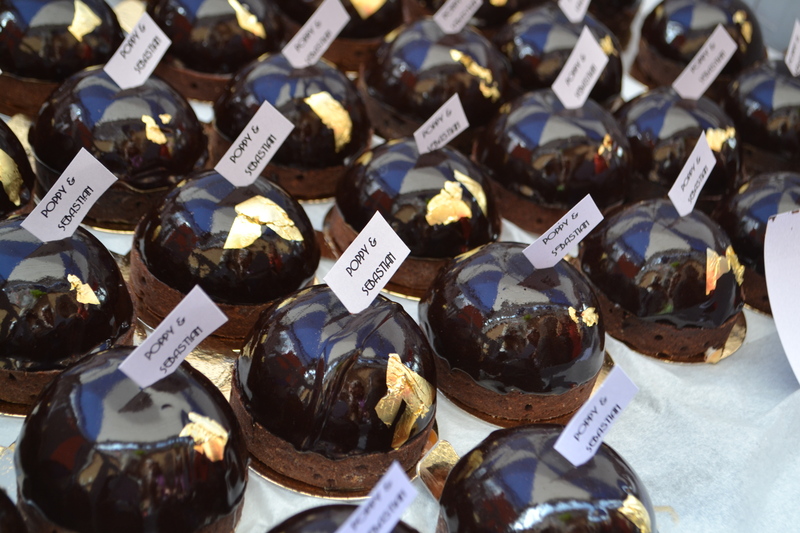 Aren’t these the most beautiful things you have ever seen? For the caffeine junkie like me, you can’t go past Craft Coffee. The baristas here know how to make a mean espresso serving up one of my favourite blends – the delicious Has Bean coffee. With a different selection of single-origin beans each week (which you can purchase bags of to enjoy at home), you are sure to taste something you love. 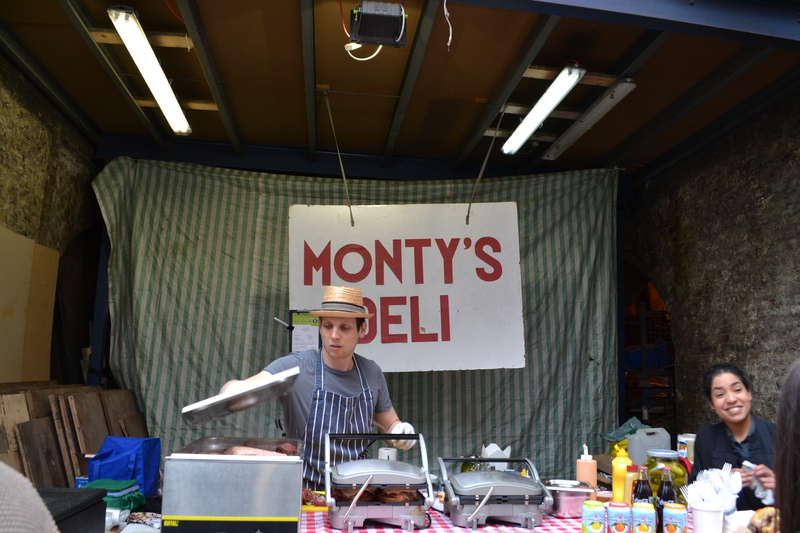 Join the queue at ever popular Monty’s Deli which has been a regular fixture on the Ropewalk since the beginning. Serving up Jewish soul food, this is the place to go for chicken soup with matzo balls and the famous pastrami and salted beef sandwich which is “heavy loaded” New York style. 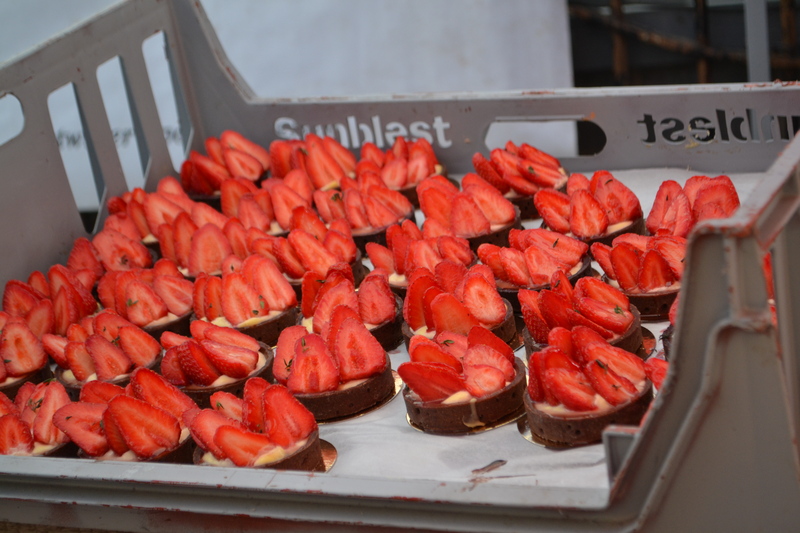 Packing for a picnic or just want to graze? 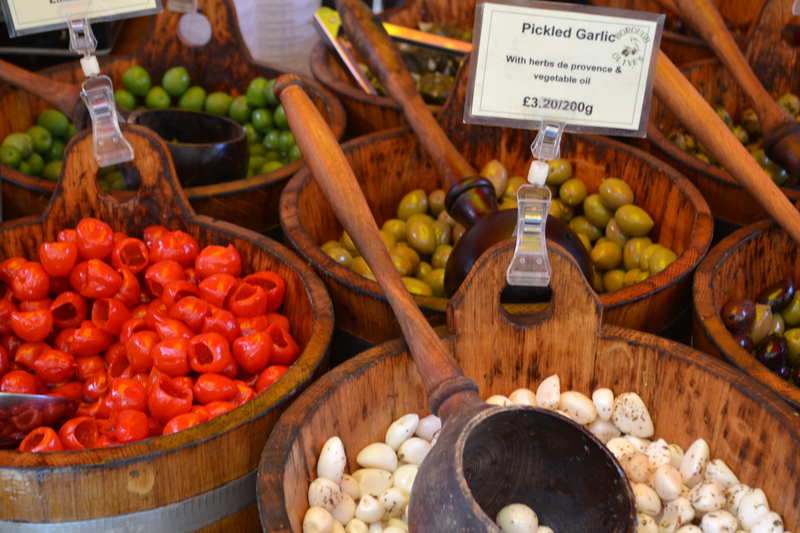 The market is a perfect place to stock up on olives, pickled garlic and stuffed peppers. 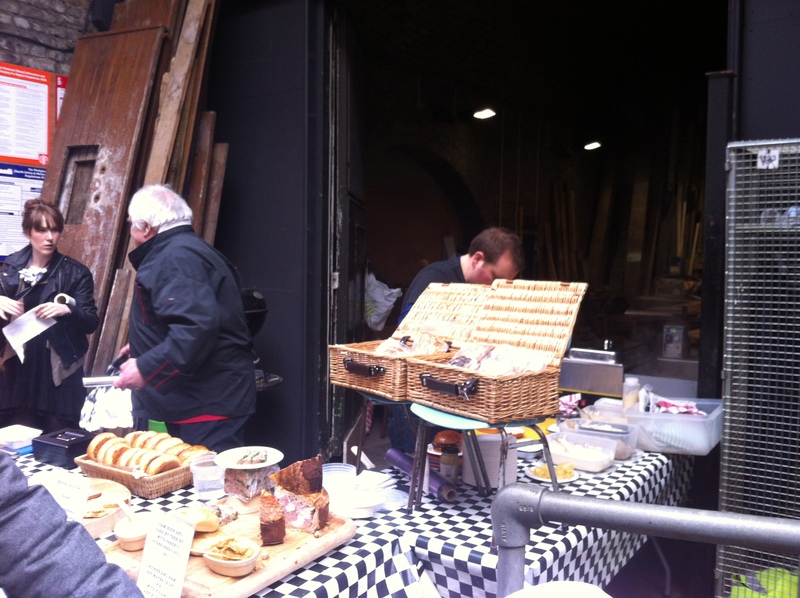 Visit the lovely Keith Bagley at Market Gourmet to pick up some pulled pork on brioche. 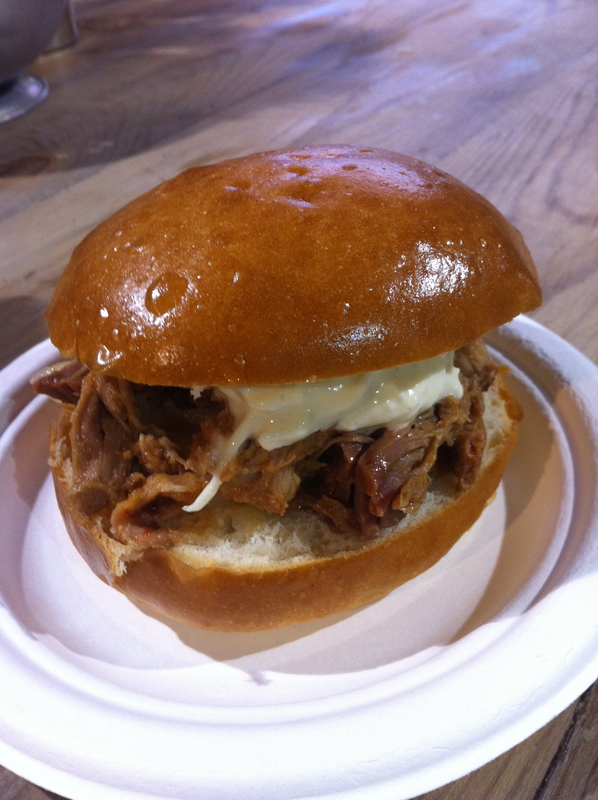 The pork is succulent and tender and literally falls apart inside the light and fluffy glazed brioche bun. 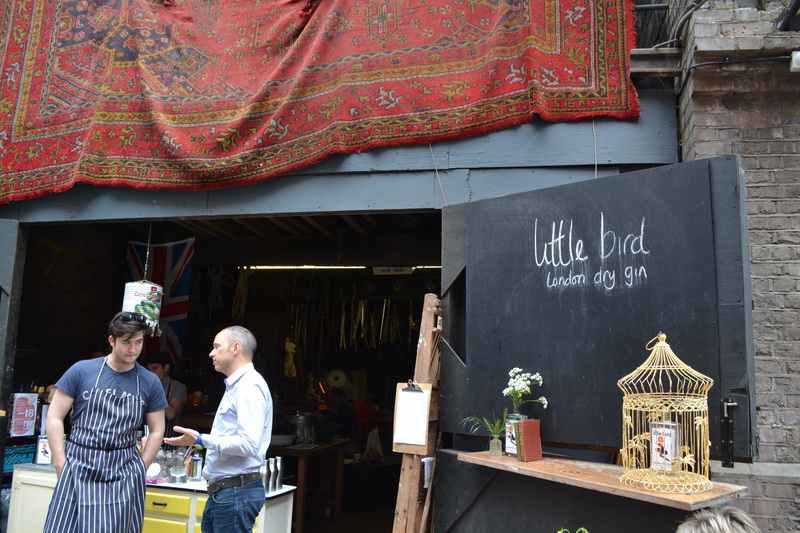 There is even a pop up sparrow bar called Little Bird Gin. 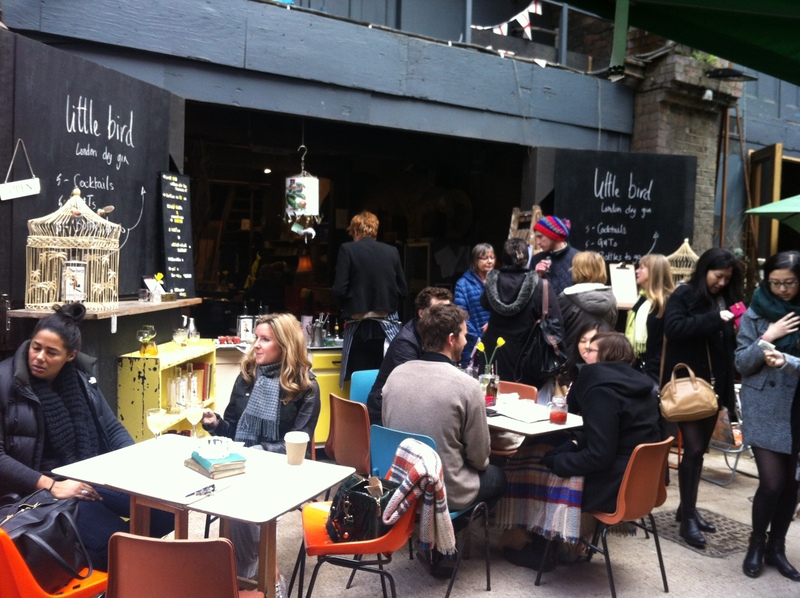 Serving up Bloody Mary’s, Negroni’s and G&Ts, this is a perfect place to relax alfresco style and watch the world go by. 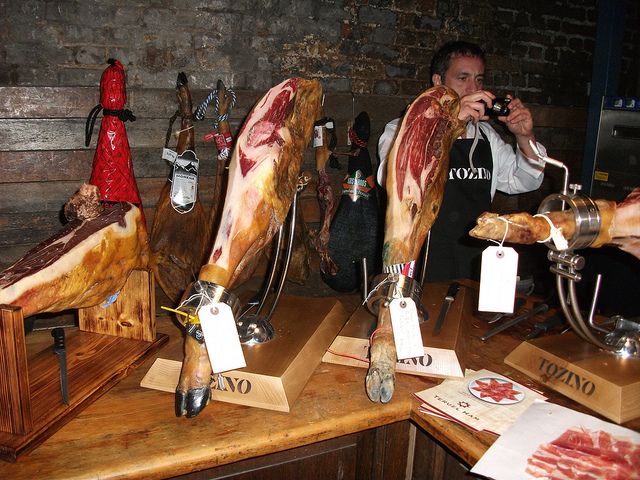 Looks like you don’t have to go to Barcelona to enjoy some great jamon. 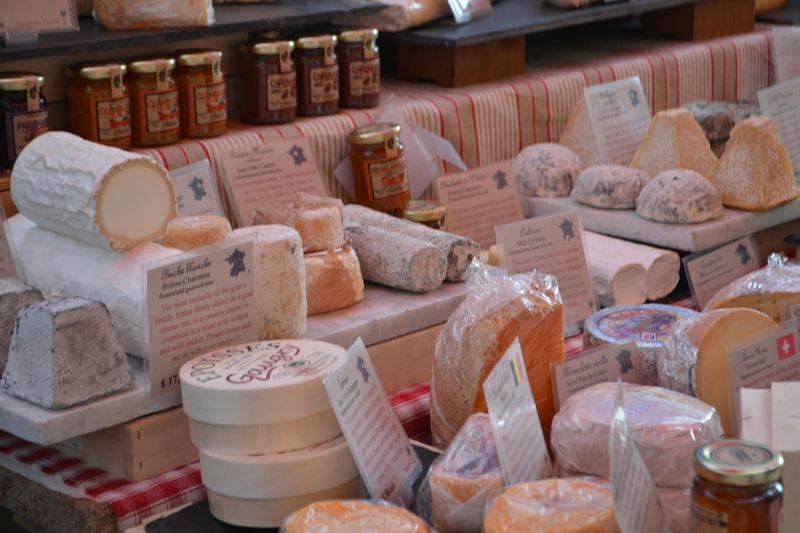 Tozino offers the very best of Spanish cheese, cured meats and jamon carved to order. They even have their very own rustic bodega so you can sit down and enjoy a glass of cava with a platter orf jamon or a tortilla. 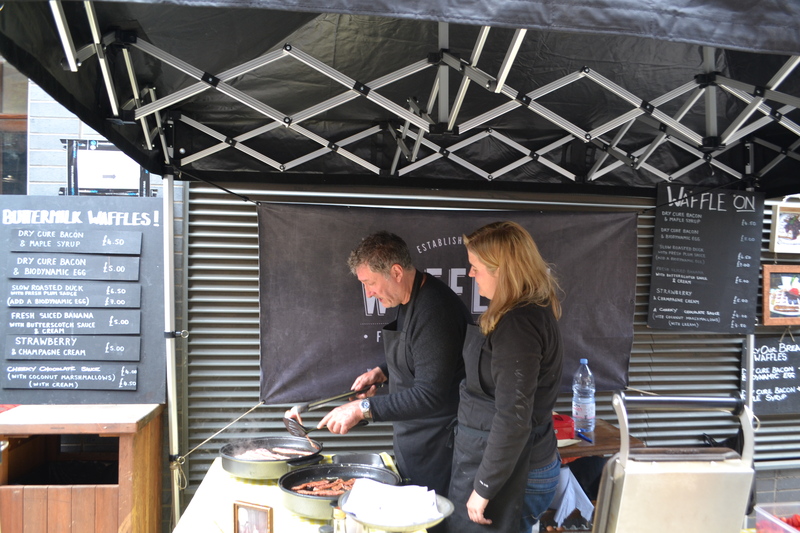 There’s a lot more to enjoy at Maltby Street Market like waffles Canadian style with grilled bacon and maple syrup at ‘Waffle On‘. 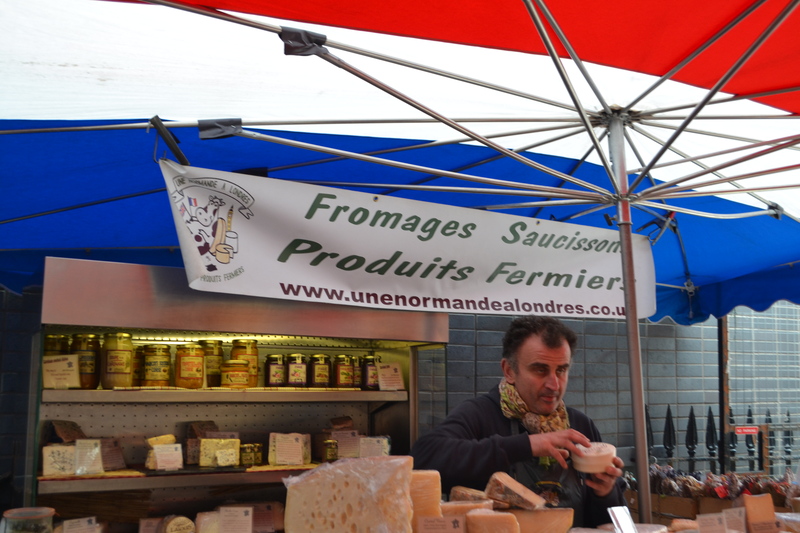 Or get your dairy fix at Une Normande a Londres who provide an extensive range of quality artisan cheese, cured meats and preserves from France. 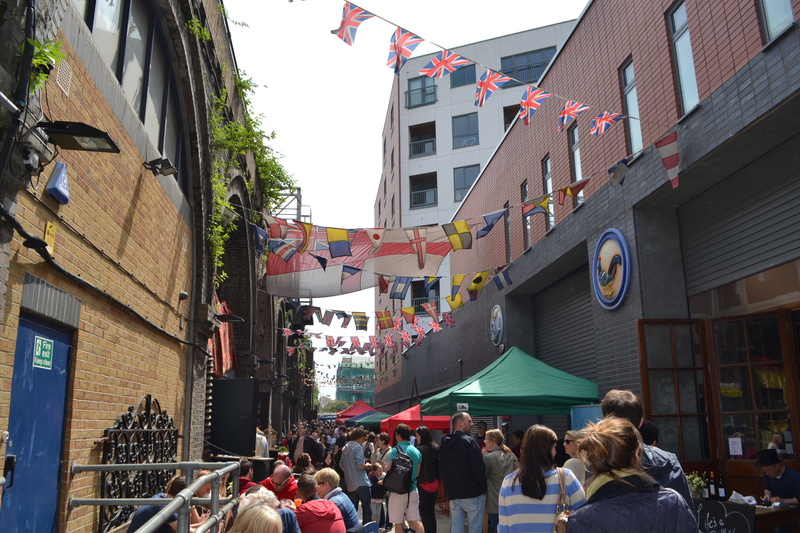 But I won’t reveal all the secrets of Maltby Street Market, I will let you discover some more for yourself. However, a word of helpful advice, make sure you skip breakfast and come here hungry – you will come back with a full belly and most likely an empty purse. 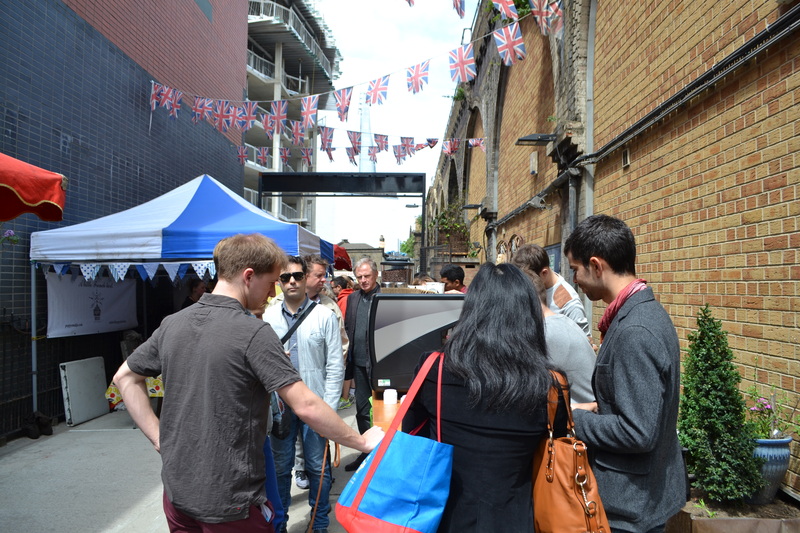 Oh and on your way out, don’t forget to pass under the graffiti laden archway to Druid Street to enjoy the best doughnuts in London at the St John Bakery. Ooooh excellent! 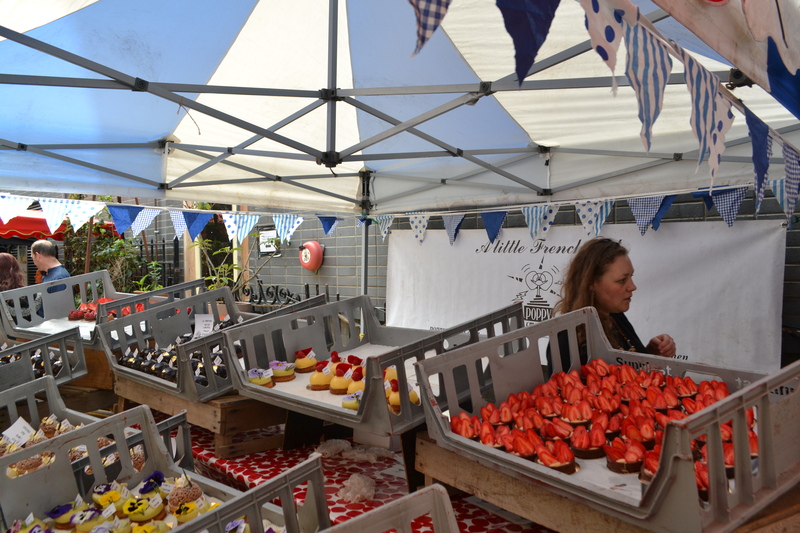 A seemingly very cute little market to get wholesome food goodies- in my area!!! Anyone been? 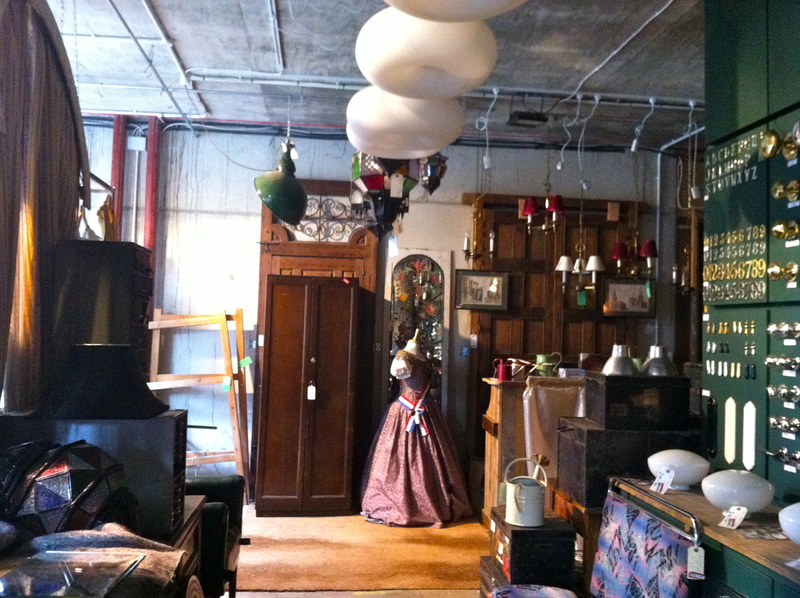 Opening time is: Saturday 8am – 5pm and Sunday from 11am – 4pm …. Great thanks for the update, didn’t realise it was until 5 now on a Saturday. About to go with my 17 year old son for Monty’s salt beef and pastrami courtesy of Tom Kerridge. Having read your info on the market I’m looking forward to the whole experience.